Cat Toothed Bucket Details - Quasius Equipment, Inc. 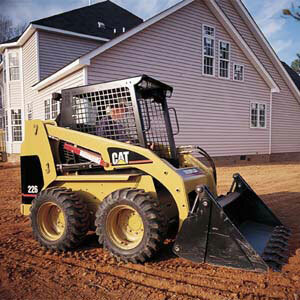 The Cat 226 skid steer loader is a great skid steer loader. It comes with a standard utility bucket but sometimes you need a little extra oomph to penetrate harder clay soils. Our optional toothed bucket will allow you to break up even the hardest soils. Note that you will still have the standard utility bucket available at no extra charge and you can easily mount it via the quick attach system for grading work once you are done digging.